… partied today with 70 million people at the Kumbh Mela in Allahabad, India. 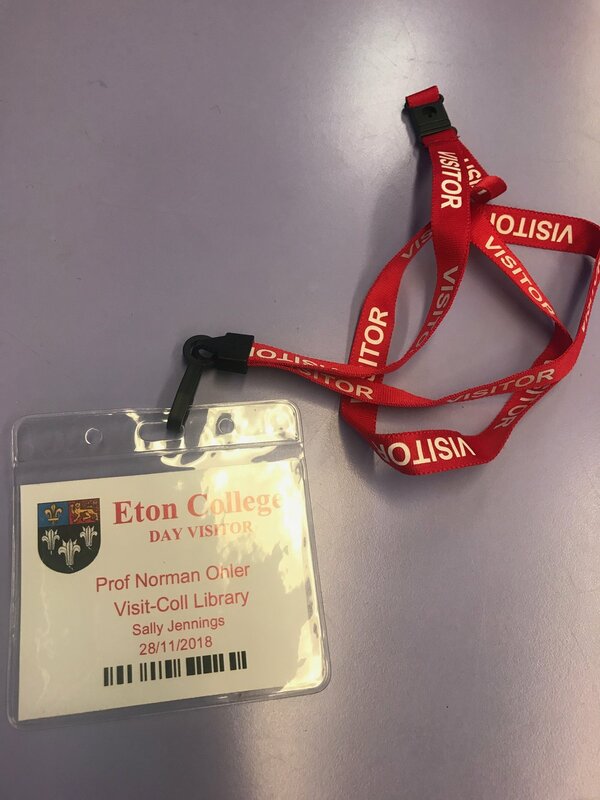 A Blitz-trip to Eton’s formidable college to speak at its Historical Society about how drug policies might influence our decision making. Also talking about Brexit, of course, and how to stay connected in a world of stupid politicians, and greedy corporations. Tonight I will be speaking at the "Philosophical Theatre" at the National Theatre in Zagreb, opening the new season. The "Philosophical Theatre" seems a sort of antifascist platform that has become prestigious in the struggling cultural and intellectual life of Croatia, the nearly world champion. Previous performers (if that is the right word) have included Thomas Piketty, Vanessa Redgrave, Slavoj Zizek, Herta Müller. "On Eukodal Wagner sounds even more pompous." "I have waited for such a book!" "I have not finished it yet but it is very interesting." Thrilled to share that the 4.22 issue of the New York Times Book Review features BLITZED on Paperback Row (attached here). Congratulations! I find it hard to say what those so-called Literature Festivals actually are. A possibility to meet colleagues and exchange ideas? For sure. A way for criminals and corporations to launder money and pretend to support "culture" while actually being interested in nothing else but maximizing their profits even if people die, or lose their mind? Absolutely. A scheme for cities to boost tourism? You bet. 300,000 people apparently attended the Jaipur Literature Festival. Numerous sponsors blurted their logos around. Hotels were filled to the brim, so where the streets. Smoke rose up into the air, Tuk-Tuks overturned, Irish poets who had been singing songs were suddenly on the pavement, broken glass skidded along the tarmac. People screamed, applauded, influenced each other, made babies. But wouldn't all of this happen anyhow? At least it happened in the name of literature - or does that make it worse? Some authors boycott these festivals, deeply skeptical of their impact. I am not so sure. 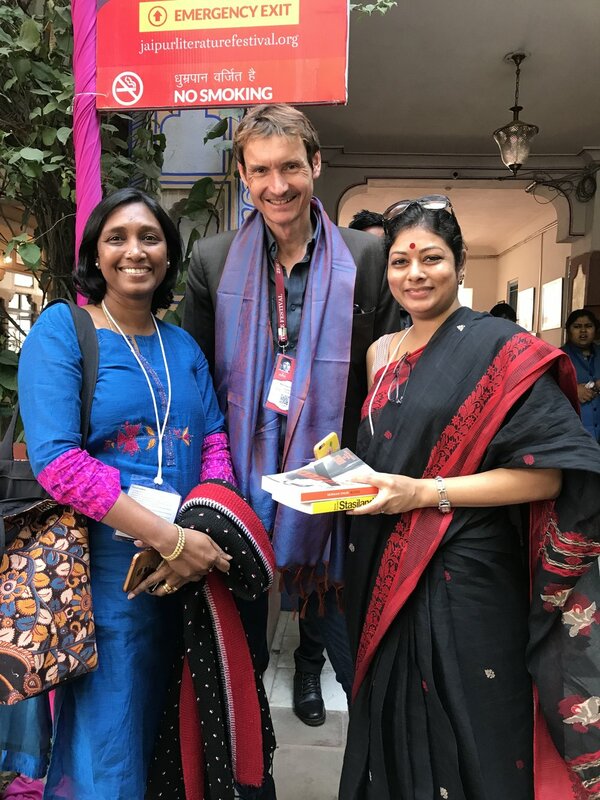 The Jaipur Festival makes people read, makes people listen, and occasionally a critical voice against the spread of fascism within India and throughout the world can be heard. Does it matter in the end? Where is the solution? How do we downsize, how do we reconnect with nature, how do we organize mankind in smaller groups again? Let's discuss all of this at the next Literature Festival. I am sure it is just around the corner! Situation is a bit hairy in India especially today on Republic's Day. There are violent Hinduist protests against the release of a new Bollywood film, Padmaavat. A school bus has been attacked, just to create attention. The children had nothing to do with it. From Delhi through wonderful Kolkata now in Chennai: Deconstructing Hitler's never been so much fun.